We use a number of tactics including direct-action to investigate, document, and take action when necessary to expose and confront cruelty in the countryside. We can be out 3-4 days a week during the hunting season to save hunted and persecuted wildlife from the hunters. Bloodsports are cruel and barbaric and have no place in modern society. On Wednesday 20th February 2019 the Warwickshire Hunt ended up hunting on and next to the B4035 below Brailes Hill. The hunts hounds were running backwards and forwards all over the road causing motorists to stop resulting in a traffic jam. An ambulance on an emergency and with it’s blue light flashing then tried to get past but was delayed because of the hounds on the road. “Every second is vital for ambulances when they are on an emergency it can often mean life and death. Pheasants are bred in factory farm conditions only for them to be released, shot and then dumped in pits like this one. The fact that heavy machinery is needed to dump the pheasants shows the scale of just how many birds are killed and dumped every week. This is certainly not a one off this is common practice in the shooting industry. The shooting industry is coming under increasing scrutiny and ultimately we would like to see a complete ban. Until then we will continue to put the cruelty of the shooting industry under the microscope with investigations like this. About 50 million birds in Britain are bred each year to be shot at more than 5,000 shoots. Customers often pay thousands of pounds to kill up to 800 birds a day. It is thanks to information from you that we are able to carry out investigations like this one. All communications with us are treated confidentially. Violence erupted both at the demonstration and later in the day as Atherstone Hunt supporters attacked both demonstrators and saboteurs. 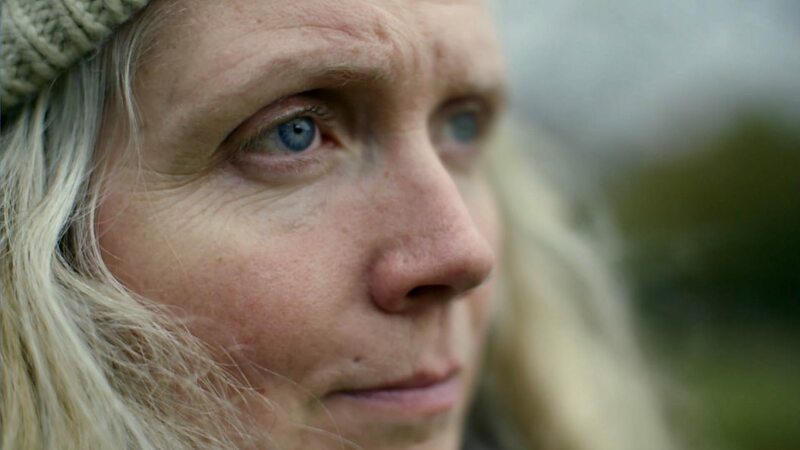 A member of the public was violently attacked by the hunt as her hair was grabbed and pulled by a regular hunt supporter. One hunt supporter grabbed one of the demonstrators banners with her teeth showing just how feral and out of control this hunt are. Hunt supporters were drinking alcohol all day, which raises questions regarding health and safety of this event. 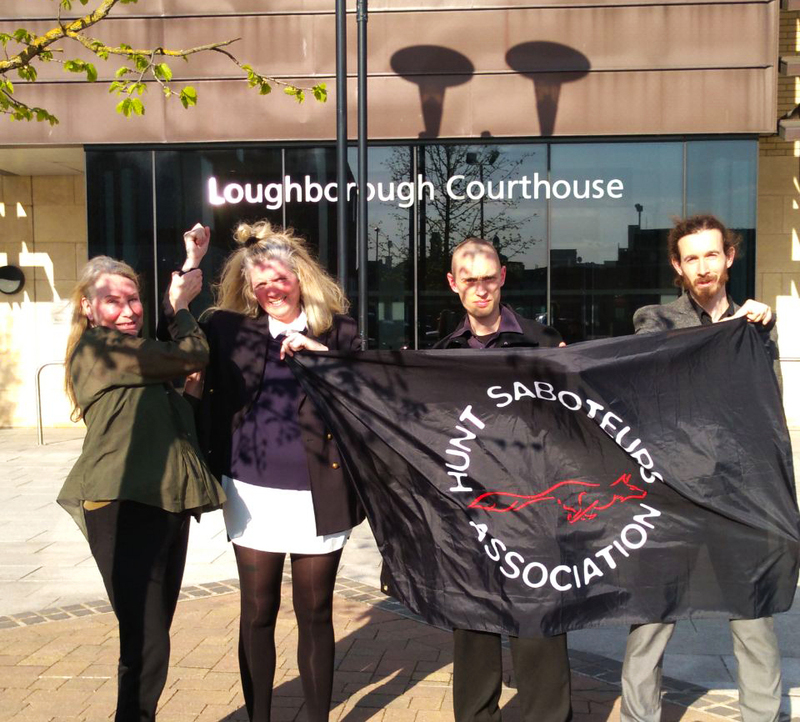 West Midlands Hunt Saboteurs claim it was protesters who were the victims of the violence in Market Bosworth. 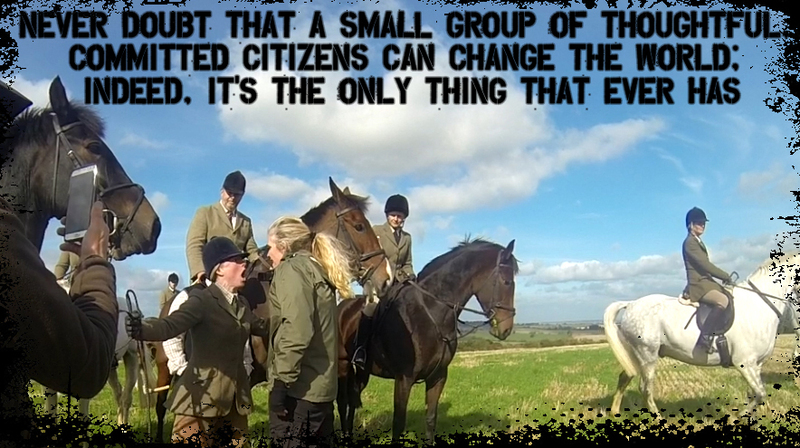 “Boxing Day is the biggest day in the hunting calendar. It is totally outdated for them to continue hunting, and totally barbaric. 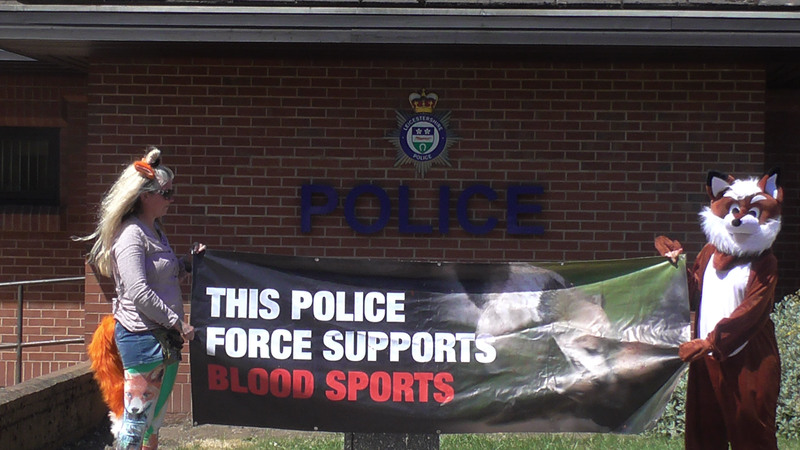 As part of our Operation Blackthorn campaign to expose the political policing and police bias against hunt saboteurs at Leicestershire Police we have held a number of “pop up” demonstrations at police stations around Leicestershire over the past month. We chose to start at Beaumont Leys Police Station to link it to our petition asking the Chief Constable to remove a DS Matt Trott from Leicestershire Police’s hunting operation due to inappropriate comments he made on the phone to a member of our group. Trott is based at Beaumont Leys Police Station. Former Warwickshire Hunt director Tony Ellis has admitted to assaulting a female hunt saboteur after the incident was caught on camera. Warwickshire police have issued him with a caution.